If you’re buying, Ian will do much more than help you simply buy the boat. Ian will help you with absolutely everything associated with buying a boat, including negotiating slip fees, locating suitable marinas, finding divers and maintenance and much more. His years of experience have yielded hundreds of contacts in the boating industry who perform a variety of top-notch services for his buyers. See Ian’s rolodex of contacts here. If you’re selling, your boat will get top-notch, best-of-the-industry marketing on everything from YouTube to Twitter and print advertising. Ian’s powerful negotiating skills have helped boat sellers like you secure a great price for their boats, whether you’re looking to take a break from the water, want to downsize, or want to move up to a bigger and better vessel. See this link for more on listing your boat with Ian Van Tuyl. But don’t take our word for it. Scroll down to read what other boat buyers and sellers like you have to say about working with Ian Van Tuyl. Van Tuyl works for Cruising Yachts, Inc, the largest yacht dealership on the West Coast located on Harbor Island in San Diego. He resides in Coronado with his wife and two daughters and is a member of Southwestern Yacht Club. 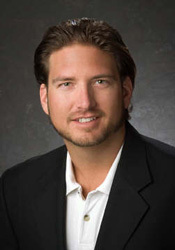 To learn more about Ian Van Tuyl, visit his Facebook page at www.facebook.com/ivtyachtsales. Ian has over 21 years experience in the yacht industry and currently works for Cruising Yachts Inc, the largest yacht dealership on the West Coast. He has sold more than 10 million dollars in boats and consistently wins awards for his sales production and customer service. Previously, he worked as project manager for Nautical Enterprises, where he commissioned more than 150 yachts, including Jeanneau, Hunter, Beneteau, Catalina, Saber, Tartan, C&C, Navigator, Fairline, Silverton and more, personally installing custom add-ons, electronics, generators, and water makers. Ian’s keen eye for detail, strict work ethic and energetic approach quickly won him the praise and respect of clients and yacht professionals alike. In his sales position, Ian translates his hands-on expertise and customer service-savvy into a rewarding experience for both new yacht owners and seasoned sailors. He diligently walks customers through every step of the buying process, from choosing a yacht to carefully selecting unique customizations and add-ons. From the point of order to the point of delivery, Ian communicates with his clients every step of the way, ensuring a smooth and rewarding experience. But it doesn’t end with the sale…Ian enjoys being a knowledgeable resource for his clients for many years to come. Want to know what boat buyers and sellers say about working with Ian?